How to use the sentence pattern "n desu"? Note: Plain form means it can be plain form of verb, adjective and noun. 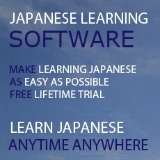 But for plain form of both na-adjective and noun, instead of ending with だ (da), it need to change to な (na). Plain form 「だ」 → Plain form 「な」. That means when talking, native Japanese normally use 「～んです」 instead of 「～のです」. This sentence pattern is used when the speaker explains to the listener the reason for his own words and deeds, while an interrogative sentence in this form is used when the speaker is asking for an explanation of what the listener has done. Meaning: Don't you drink beer? Meaning: No, I don't like it. 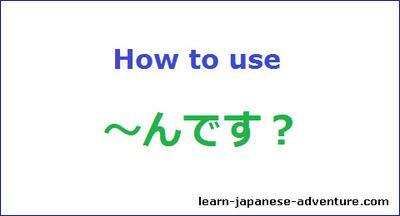 To use this sentence pattern "n desu", something should be obvious, something you have seen or heard. For the above example, it's obvious that the speaker noticed that the listener is not drinking beer and ask the question. And this sentence pattern always shows the speaker's curiosity or interest in the question. Actually it's not a mistake if you omit ん (n) or の (no) in the above case. But it's just not natural for native Japanese. Thanks for asking this question. I will probably explain it in more details in one of the intermediate lesson I will be doing. 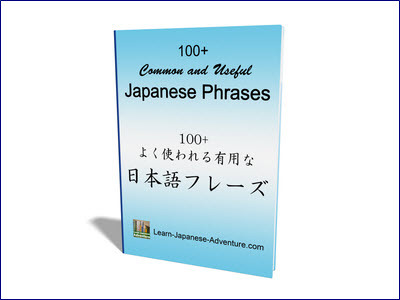 Refer to this page for Japanese plain form. Intermediate lesson 3: Japanese Sentence no desu. 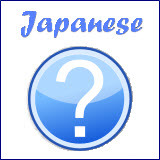 A new intermediate lesson on Plain form のです (Plain form no desu) was just added. Does the conversation in んです form have to start by a question? Can I not simply start with a statement? while んです is commonly used in the form of question, I think it's fine to start with a statement as this will make the statement more explanatory and emphasize more on what you want to say.